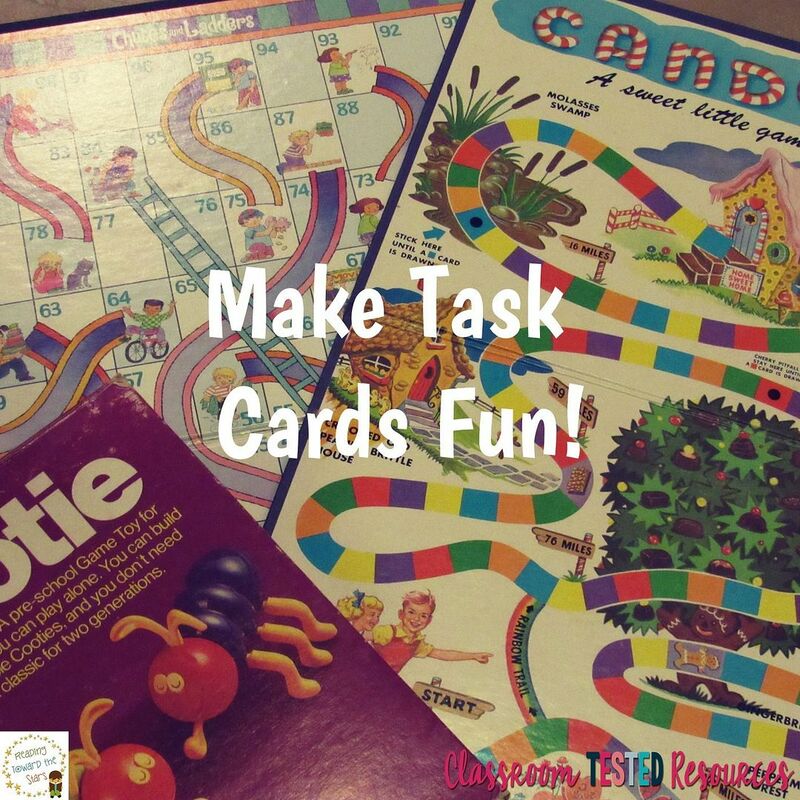 3 Ways to Make Task Cards Fun! Hello, everyone! It's Andrea from Reading Toward the Stars. Can you believe Back to School time is almost here? I go back this Friday for teacher workweek, and I am not ready! Summer is always so much fun, a time when I can relax and enjoy time with my own children. I'm here today to share some ways to go beyond the normal task and flash cards for any age! One of the things we LOVE to do is play games. The opportunity allows us to spend time together and practice important skills, even if it is as simple as colors and letters. Even in my classroom, I love to play all kinds of games. Every Friday I spend time with my students playing games to enhance and review their learning. This time allows them to show what they know in a simple non-threatening way. I don't always have games for every single skill we work with, so I improvise. I use task cards and old games to help create a quick and easy way to play games. 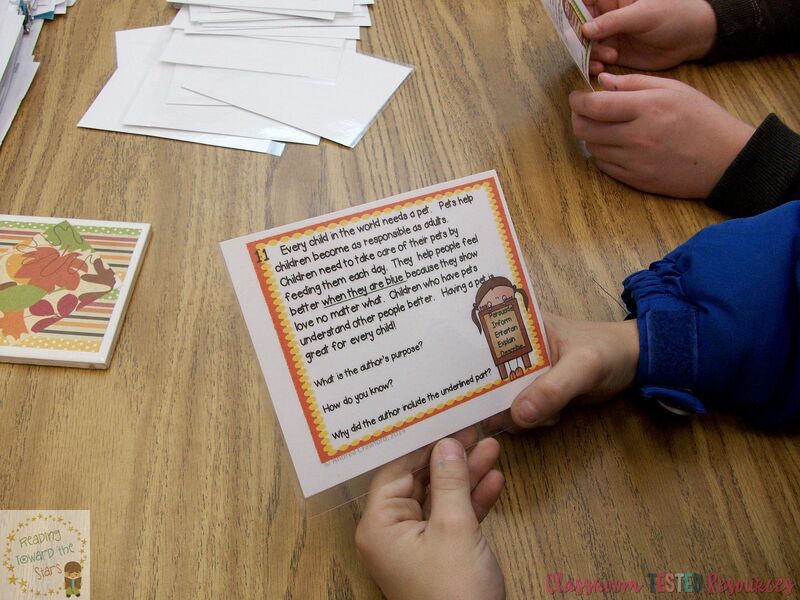 I get out my task cards (or flash cards) and an old game that the kids may know how to play. 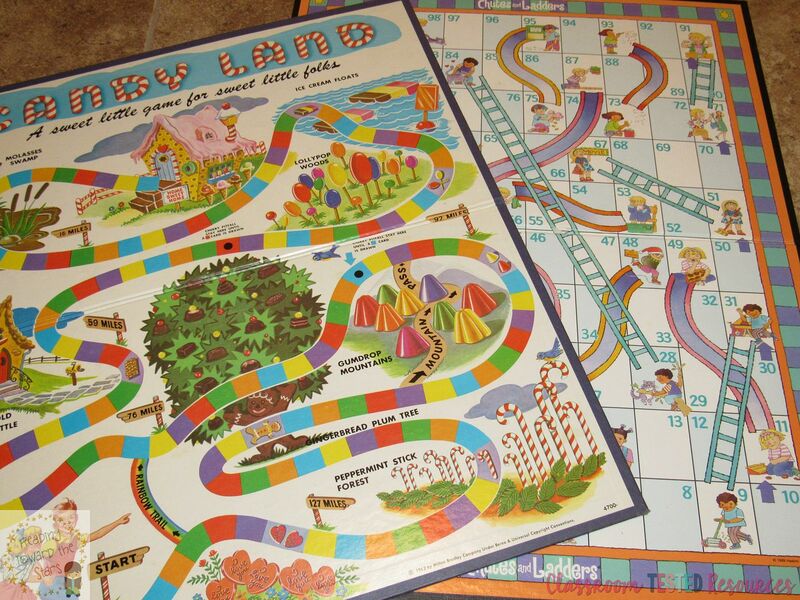 They love using Candy Land and Chutes and Ladders as they answer questions and go around the board. It adds a lot of excitement as they answer questions and go from place to place. 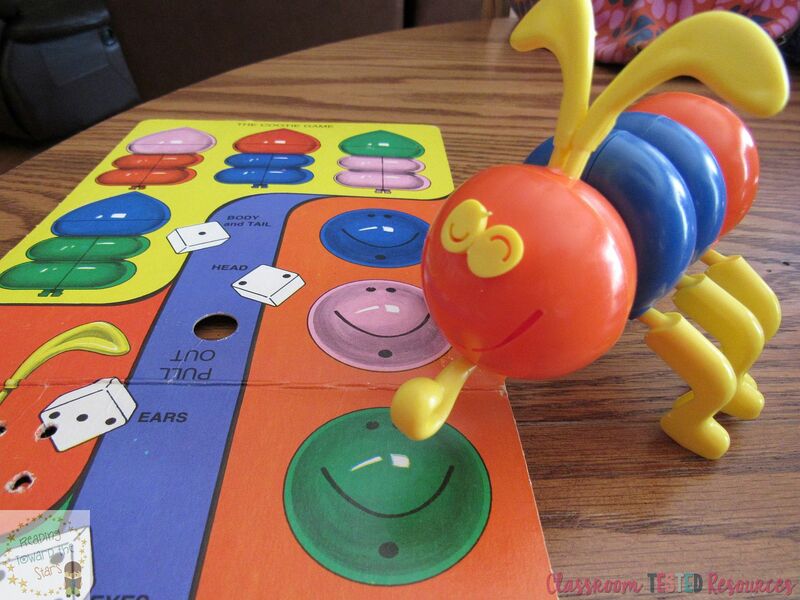 We play Cootie with the task cards. Every time someone answers a card correctly, they can roll and get the piece to create their little critter. And another favorite is just making an extra card where they have to give up all of their cards when they choose an Oops, Bang, Slam, or whatever you want to call it! So, task cards take on a whole new meaning as children find fun ways to show what they have learned! If you are looking for some fun task cards, I have some in my store that also include game boards and cards for instant play. And they are 20% off during the B2S sale, with an additional 10% off with the code BTS15. And don't forget to leave feedback on all of your purchases to earn credits for more fun resources from Teachers Pay Teachers! Have fun this school year!